Scott T. Holman is a licensed attorney in the State of California. Scott earned his Juris Doctorate from Glendale University College of Law where he earned the writing award for excellence in Appellate Advocacy. He received his Bachelor of Science degree in Regional Development and Business Administration from University of Arizona in Tucson, AZ. Prior to practicing as an estate planning attorney, Scott worked for the wealth management department of CitizensTrust, a division of Citizens Business Bank in Pasadena. While at CitizensTrust, Scott managed and administered trust and estate accounts for high net worth clients from inception through final distributions. 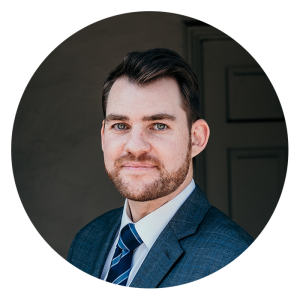 Scott also spent 2 years as an assistant project manager for a real estate development company in Pasadena and interned with the City of Los Angeles Community Development Department. Scott is a member of California Bar Association, Trusts & Estates Section. He is also a member of the Monrovia Providers Group, an organization that provides information and resources to local seniors. He lives in Altadena with his wife, Sarah, and their son, Thomas. Scott enjoys spending time with his family and friends, traveling, barbequing, hiking, golfing and biking.